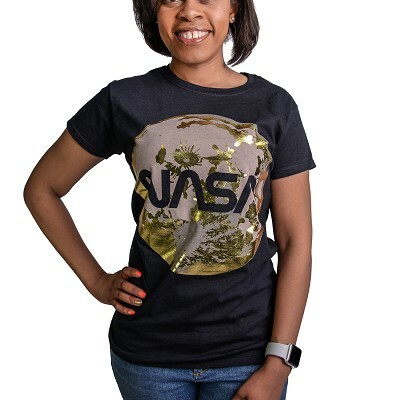 This ladies’ t-shirt features the NASA worm logo and Earth's moon, each a stand-out on its own! 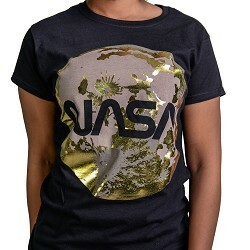 Taken to the next level when accented with gold against a solid black background! Made of 100% cotton. Machine wash cold, tumble dry low.